VFP5CHS.DLL File | How to Detect VFP5CHS.DLL Error? The file named VFP5CHS.DLL is developed by Microsoft corporation. The DLL file is an integral addition for the Microsoft Visual FoxPro designed specifically for the Windows platform. It is secured with prompt updates by the developer. 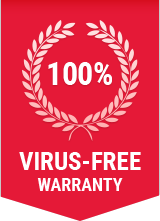 There is no malware, virus or Trojan issues associated with it. The threat level is 1. VFP5CHS.DLL is located in C:\Windows\System32\vfp5chs.dll. The file size is 890.5 kilobytes as confirmed by records. The product version which uses the DLL version is 5.0a. The file is a non-system process. If found to be infected by a malware, it should be removed immediately. Windows operating system will run as always without any issues. Affected Platform: Windows XP, Vista, 7, 8, 10. How to check if your computer is infected with VFP5CHS.DLL malware? Go to the process tab and right-click on the VFP5CHS.DLLfile and open its location. If the file is located outside C:\Windows\System32\vfp5chs.dll, then you should take measures to get rid of the malware. How to remove VFP5CHS.DLL malware from system with Comodo Cleaning Essentials? Step 5: Comodo Cleaning Essentials will remove VFP5CHS.DLL malware from your computer including all other malwares!